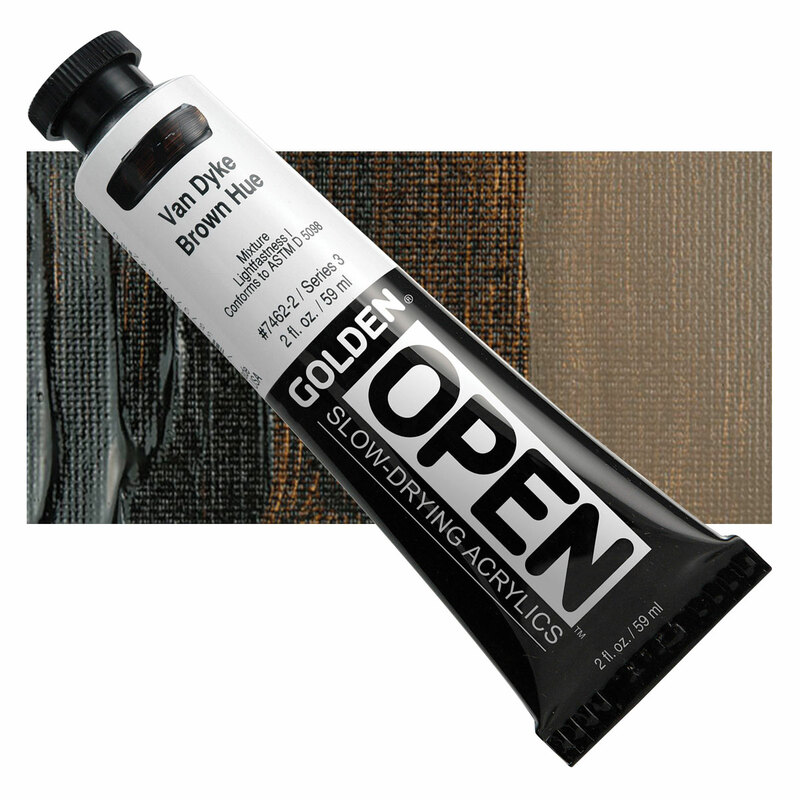 Golden Open Acrylics are a line of professional colors formulated to produce a uniquely relaxed set of working characteristics. 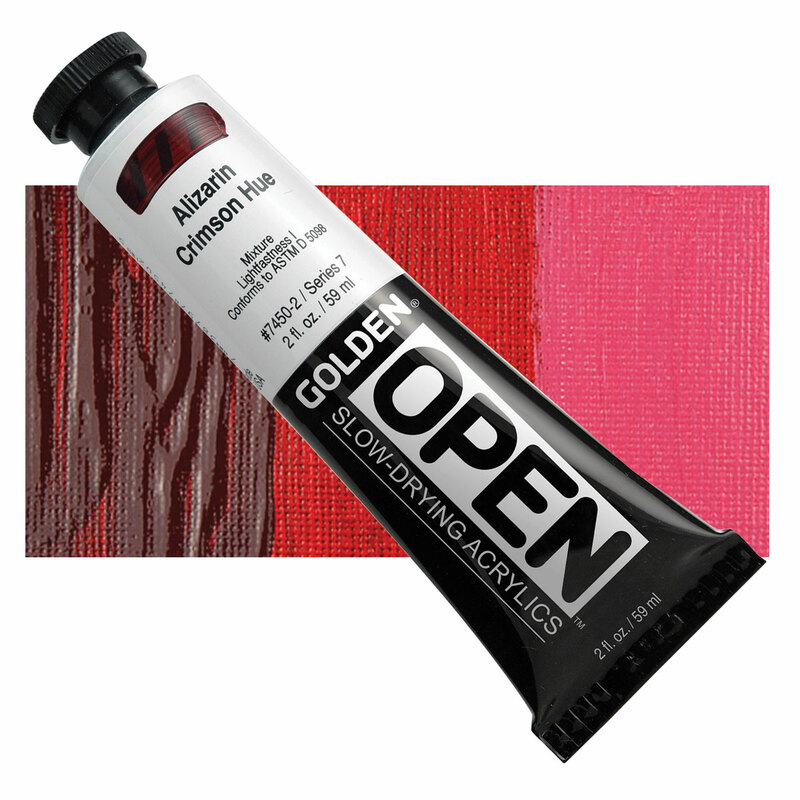 They allow exploration of a variety of techniques. These sets offer a great way to experiment with this exciting line. 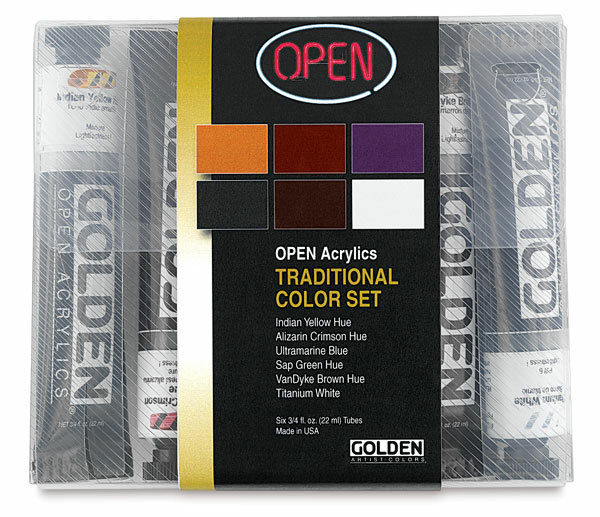 This set contains 0.75 oz (22 ml) tubes of Alizarin Crimson Hue, Indian Yellow Hue, Sap Green Hue, Ultramarine Blue, Van Dyke Brown Hue, and Titanium White.